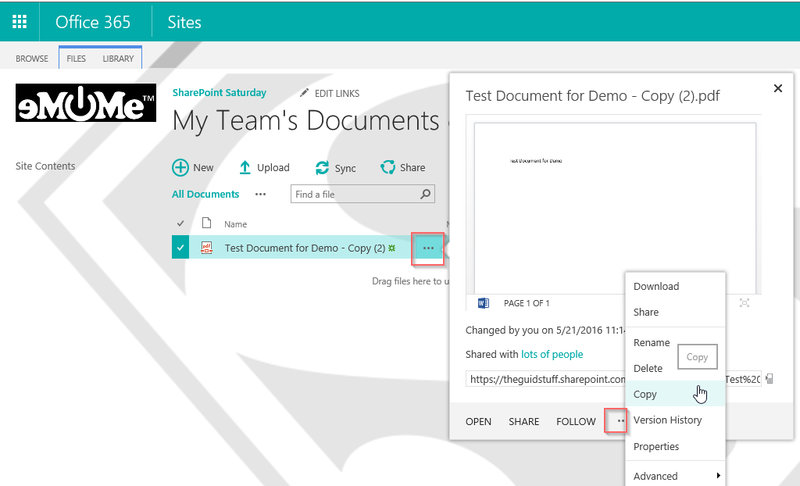 #Office365Challenge – Creating Document Libraries in SharePoint. These are most probably the most known of the apps and used by all. I do however think that if your document libraries on SharePoint is a mirror of what you used to have on your file shares – you’re doing it wrong. In this post I’ll be showing you how to create the app, and over the next couple of posts we’ll be looking at using it better. To add a new document click on Upload. Browse to where the document is and click OK. Once the document is uploaded you’ll see the ellipses which allows you more menu items related to the specific document. Really is quite easy right? So tomorrow we’ll start looking at metadata and views.